NEW ARRIVAL - LOCAL TRADE! 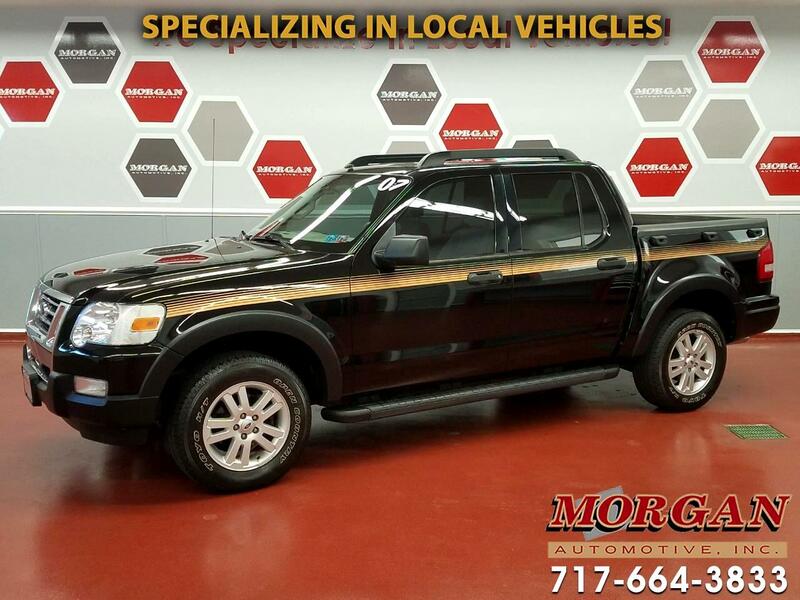 ****2007 FORD EXPLORER SPORT TRAC XLT 4WD WITH ONLY 57,000 MILES! ****CLEAN 1-OWNER CARFAX! ****This is a very nice truck with a great history and is in super nice condition. Comes with near-new Toyo Open Country tires, Pioneer stereo with Bluetooth and AM/FM/CD/AUX radio, tow package including hitch and 4-pin wiring harness, fixed running boards, bed liner, traction control, power windows, locks and mirrors, air conditioning, fog lights and cruise control. Runs and drives great, has a current state inspection and fresh oil change. Comes with a 1-month/1,000 mile powertrain warranty with options to extend it for added peace of mind. Financing is available and trades are welcome. If interested please contact one of our commission free sales team members.